The Woodville Community Church exists to serve God through each person growing as a disciple of Jesus Christ, through the expository preaching & teaching of God’s Word, reaching out in service to our community with the Good News of salvation in Christ, and engaging in celebratory worship that glorifies our Lord. 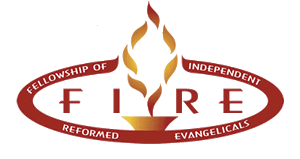 WE ARE ALSO A MEMBER OF THE ALLIANCE OF CONFESSING EVANGELICALS (ACE) and FELLOWSHIP OF REFORMED EVANGELICALS (F.I.R.E) These organizations are affiliated with our church and our values. They are meant to be expressions of the core values that we hold and give clearer understanding to us as an evangelical church to God's glory "Click" on any one of the three icons to learn more information about these ministry groups.